Many orally consumed nutrients has a poor absorption rate. Those nutrients in a liposomal delivery system are absorbed substantially higher. NOT ALL LIPOSOMAL PRODUCTS ARE EQUAL Not all liposomal products are of high quality. Proper encapsulation technology is a highly complex method to incorporate a hydrophilic nutrient into a lipid carrier as they normally repel each other. When testing for quality, allow ample time for the product to settle. After this period, a poor quality liposomal product will have noticeable separation over time. A good formula should also feel smooth to the touch rather than grainy, which is a sign that the incorporation procedure is inferior. Glutathione, an antioxidant produced by the body that fastens to and gets rid of toxins, is necessary to help purge the body of poisonous metabolic waste and to maintain the immune system. When exposed to oxidative stress like drugs, toxic chemicals, disease, aging, stress, and inflammation, glutathione levels drop. Glutathione orally has a very poor absorption rate. Intravenous glutathione is very effective, and inhalation of nebulized glutathione is not very practical. However, now there is the new glutathione that merges into the liposomal delivery system. Purified water, natural peach flavor, xantham gum, potassium sorbate, sodium benzoate, and natural orange flavor oil. Shake well before using. Take 1-2 teaspoons daily. Mix with 4 oz. of water. Refrigerate for best flavor. Sugar, yeast, gluten, corn, starch, artificial colors or artificial flavors. 1. Does oral administration of glutathione have any side effects or interactions? Oral administration of glutathione does not have any side effects or interactions. 2. What gives LipoNano™ GSH a sulfuric odor? Sulfur tripeptide, which is biologically active, is contained in glutathione so it exudes a minimum amount of sulfuric odor. The product encapsulates glutathione in the liposome so it decreases its exposure to the sulfur. 3. Is taking in LipoiNano™ GSH allowed when the stomach is empty? LipoNano™ GSH is best taken with an empty stomach. Those who have a sensitive body can take it with food or as directed by your primary care provider..
4. What is the greatest amount of dosage? Glutathione is very safe to take; however, caution is needed as it is also a strong detoxifier. It is important to pay close attention to its detoxification process. 5. What is the right liquid recommended for mixing with the supplement? There is no specific recommendation as any liquid can be used to mix it. The essential action is to take in the LipoNano™ GSH immediately after mixing with any liquid. 6. Is refrigeration storage required for LipoNano™ GSH? You are given the option to refrigerate or not; but a room temperature for storage is important. It is also advised that storage area is not reached by direct sunlight. Although LipoNano™ GSH is specially bottled to reduce oxidation, it is safer to keep it away from the sun. 7. Is freezing needed for LipoNano™ GSH? 8. What type of toxicities do glutathione and liposomes contain? 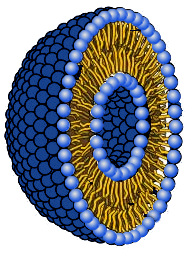 Essentially, liposome is the lecithin produced from soy. There were no reported side effects resulting from taking in glutathione. In the various studies made, where adults took glutathione, orally or intravenously , using a dosage up to five grams (5000mg), there were any sign of side effects. 9. Is LipoNano™ GSH incompatible with any other supplement? There are no studies made on its incompatibility with other supplements but it is advisable to take it 30 minutes apart from digestive enzymes. really enjoy taking this product orally knowing that with the liponano technology, my body is able to absorb it at a higher percentage. Reviewer: April from Laguna Hills, Ca. I have been using this product for a while now and I notice that it helps immensely with my fatty liver and my metabolism. I have a lot more energy when taking Liponano Glutathione. It is an exceptional product. I started to take this, and it's been over two months. My symptoms are much lighter and I have more energy. It's definitely doing something, and I'm planning to keep taking it! LipoNano Glutathione is a staple for me in my adrenal support protocol. It has a pleasant taste and is easy to use. Just place the prescribed amount in a water bottle and go. I have it with me throughout the day. It can also be mixed with other supplemental supports! This was the very first product Dr Lam started me on along with one other supplement. I did not know what to expect, but two things both my husband and I noticed were one, the psoriasis patches on my skin began to heal, and two, my husband had to actually point out that I had a cold sore because I didn't even feel it! It healed super fast and with minimal pain. So if these were side effects, yippee!